Quick note for you all. I’m offline for the next two weeks, trekking in Nepal. The next time I’ll be near a computer is April 8 — horrors! So the blog is going on a two-week holiday (I hope it enjoys the break). Books-and-media posts will resume April 13, with more travel blogging/photos and life blogging starting April 15. See you then! Yep, it’s time to talk about the one with the whales. Welcome to our latest installment of the Nostalgia series. 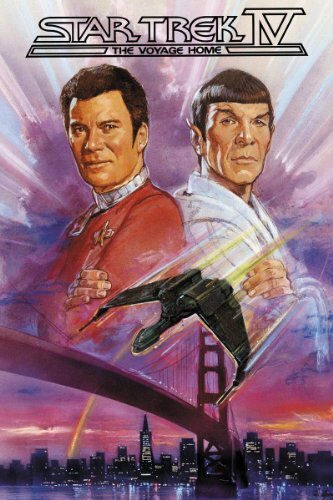 I was a big Star Trek fan throughout my teens, and I saw all the movies, but Star Trek IV: The Voyage Home was the only one I watched over and over. Knowing this, I picked it up for a recent re-watch with some hesitation. Would Leonard Nimoy’s clunky directing from Star Trek III carry over? Would the comedy hold up? Would the mid-1980s just be too dated as a time-travel destination? 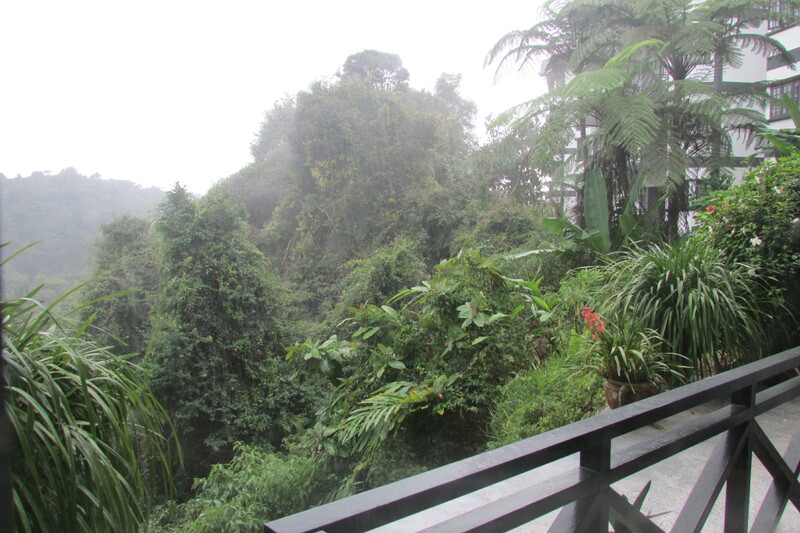 After the jungle, we headed to another nature destination — the Cameron Highlands. This is what’s known as a hill station (a term more common in India) — a higher area of land with cooler temperatures, usually developed by British colonizers as a resort. The Cameron Highlands are also a big tea-growing area, and more recently they’ve had a bonanza of strawberries. And they’re a lovely place to hike. But as we discovered, they also have a rich ecosystem that’s being threatened by development. Lloyd Alexander – The Prydain Chronicles. ‘Nuff said. Alison Baird – The Hidden World. A girl visiting her ancestral home in Newfoundland discovers her grandmother’s diary, which draws her into the fantastic world of Annwn. Bonus: also draws on Arthurian mythology. This week is a little unusual for the blog. First, I was unexpectedly without Internet for several days, so I missed posting on Monday for just about the first time ever. Second, I’m taking time out from travel blogging for a special post. This week is the anniversary of my father’s passing. He died ten years ago tomorrow, on March 14, 2003, after a short battle with cancer. I can’t believe it’s been that long already — it’s strange to realize how many experiences I’ve had that he never got to see. He never even knew that I moved to Toronto, and it’s been my home for years now. He knew everybody. He was a pastor first, then a hospital chaplain and a trainer of other chaplains, so he met a lot of people. And he remembered them all, somehow. I wish I knew the trick. He used to take his children on long bike rides through the river valley trail system, and inevitably he would run into an acquaintance. They would stop and chat, and we would be annoyed and also a bit amazed. (Side note: I can’t talk anymore. A few weeks ago I visited the Taj Mahal, and guess what? Someone I knew came up and said hi!) At his funeral, the church was packed, and the entire front pew was full of pastors in robes, come to pay their respects. 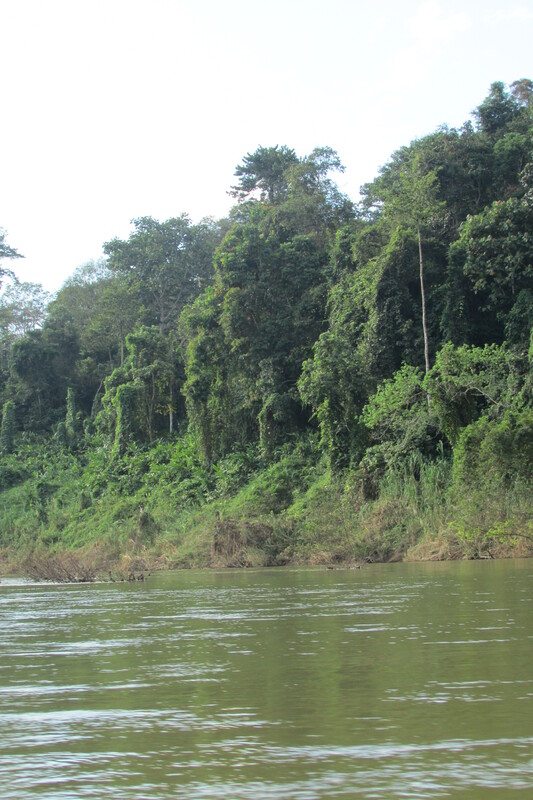 For our first excursion out of Kuala Lumpur, we chose the jungle — Taman Negara National Park, a tropical rainforest. I’m neck deep in final edits for the next Turtleduck Press novel, so I thought it was high time to announce it here. Our next book is Captain’s Boy by KD Sarge. Her hero, Donte, is a quiet engineering student on a far-future planet. When his young mentee is taken off-planet by slavers, Donte enlists his friend, the fiery Selene, to help rescue the boy. Their search across space leads Donte into his deepest fears, and a past he hoped to keep hidden. Captain’s Boy is set in the same universe as KD Sarge’s previous books, two years before Knight Errant. It will be out in April (ebook and print formats). To get a sneak peek, you can read a short story starring Donte and Selene at Turtleduck Press.